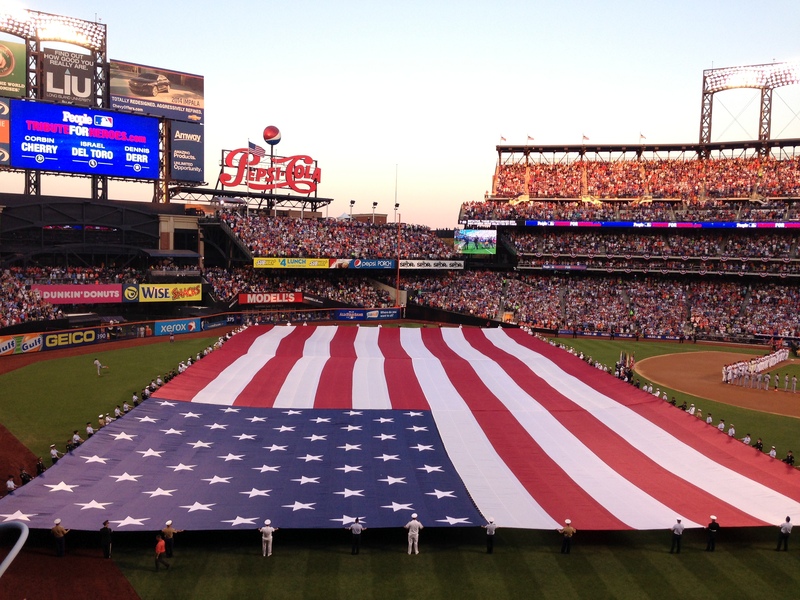 New York is center of the baseball world this week as Major League Baseball hosts its 84th All-Star Game at Citi Field, the home of the New York Mets. 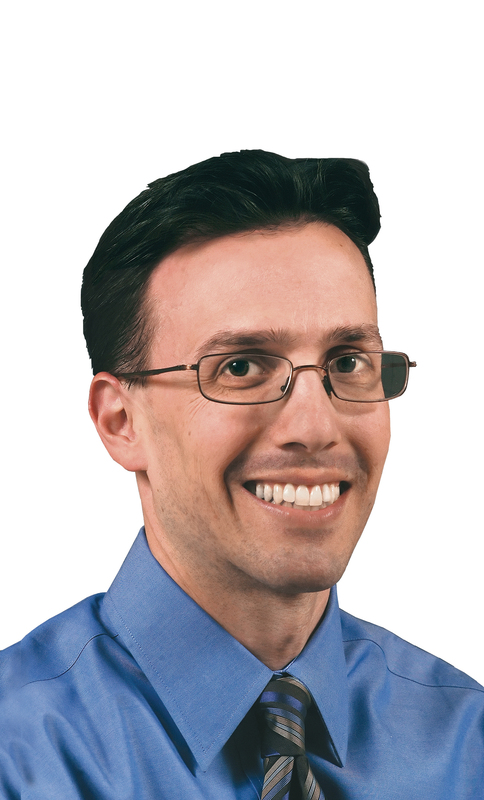 The near-record hot temperatures did not turn away crowds, who filled the stadium July 15 for the Home Run Derby and on July 16 for the All-Star Game itself. As a New York native who grew up a Mets fan, it’s been a treat seeing some of the team’s legends incorporated into the event. A parade down 42nd Street in Manhattan the afternoon of the game featured Tom Seaver, who also threw out the first pitch to start the game. Seaver has more than a few things in common with the National League’s starting pitcher, Matt Harvey, who joined Seaver (1970) and Dwight Gooden (1986, 1988) as the only Mets to start the Midsummer Classic. He also became just the 11th pitcher to start the game in his home ballpark. As a Mets fan, it was also nice to see the ovation 1986 Mets Manager Davey Johnson (here representing the Washington Nationals) received during the announcement of the participants. 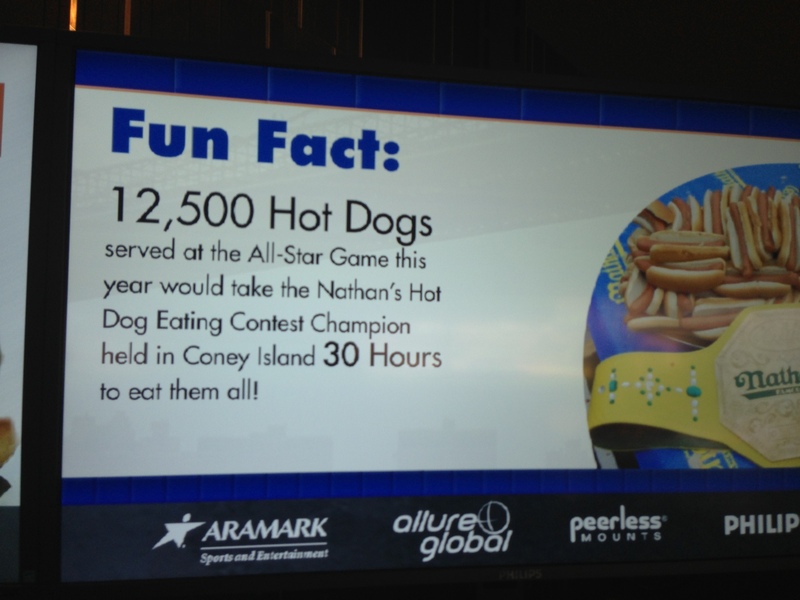 Major League Baseball always puts on a professional event filled with pageantry and celebrities. 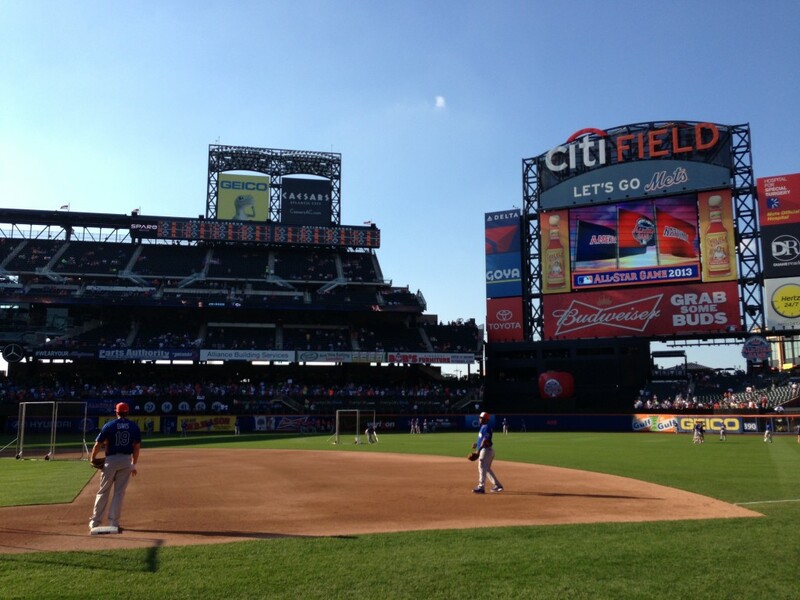 The game at Citi Field was no exception. 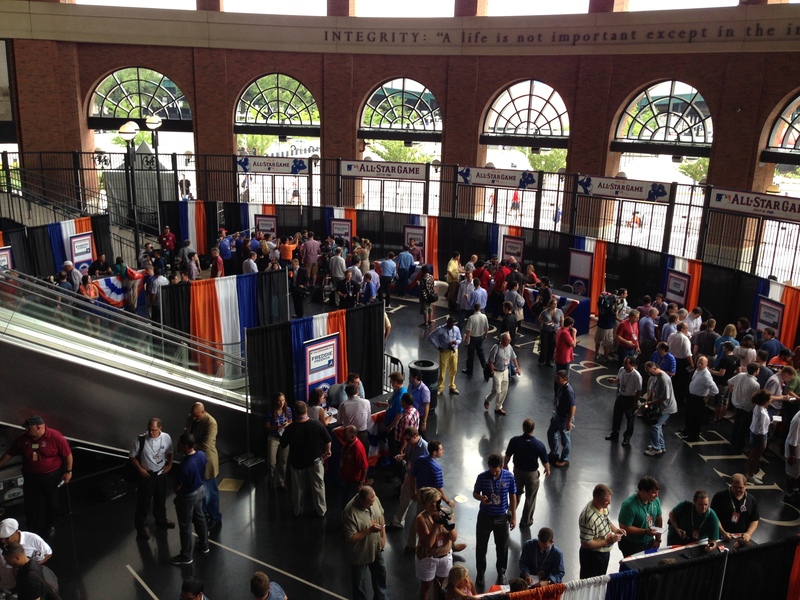 MLB made good use of the entry rotunda to show off players to the press before Monday’s Home Run Derby. And the field itself was in top shape, even after letting the 3,500 credentialed media on to interview players Monday and Tuesday. 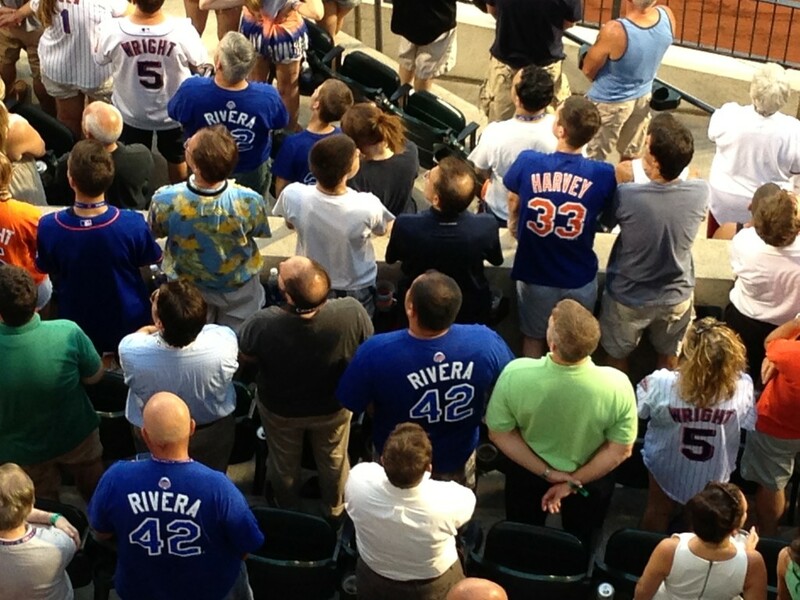 Fans in New York appeared to be representing both the hometown Mets and Yankees. Jerseys from the Yankees’ Mariano Rivera (playing in his last season and last All-Star Game) were just as prevalent as jerseys for Harvey and Met star David Wright. The pre-game ceremony to the game was also another well-orchestrated event, with MLB teaming up with People magazine to honor 30 winners of its “Tribute to Heroes” campaign, a national effort to recognize veterans and military service members that was held just after the National Anthem. 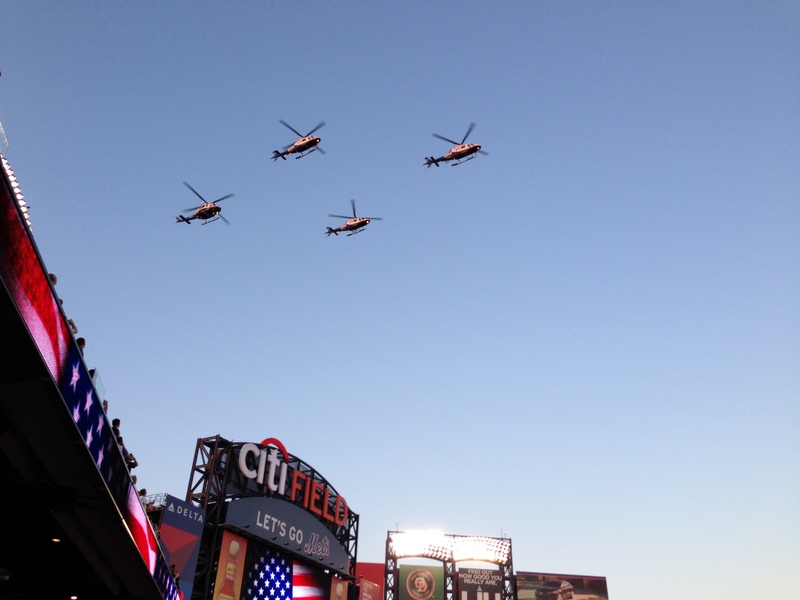 The pre-game also featured a unique flyover featuring four of the New York Police Department’s Aviation Unit helicopters. And no event would be complete without the massive behind-the-scenes efforts by stadium crews, from the grounds crew to the concession stands. 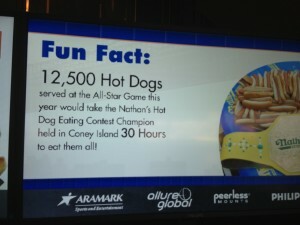 In fact, here’s one of the more curious All-Star Game stats you’ll see, something perhaps only fit for New York.